Happy Monday everyone! Hope everyone had a great weekend!! I just worked, tried to get over my cold (still...) and prepped for Sandy. Hopefully she isn't as bad as everyone is hyping her up to be! I hope everyone on the East Coast stays safe this week. Don't ask me why I've been so attracted to "crazy" pants lately. I really don't know what it is. 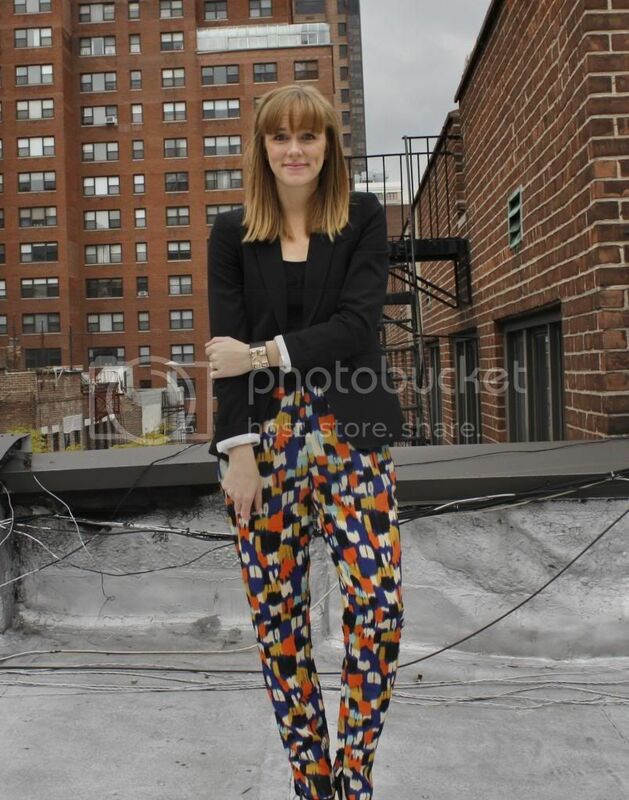 When Sugarlips gave me the chance to partner with them again I was immediately drawn to these pants. I poured over the website trying to find something else I loved but I kept coming back to these. And when I got them in the mail I was even more excited to find out they are a soft/silky/flowy fabric and not a stretchy fabric like I thought. For this look I paired the pants with a blazer and heels which is what I would wear if I was going to work. Of course work would be in more of a creative field (these would NOT fly on Wall Street or in the law/accounting/etc. fields!). I have a casual look with these pants I'll show you next week. Love these pants! Thank goodness I can wear stuff like this to my office! !